General Information: The Kelsey is one of the most valuable plums because its bright green skin is a beautiful contrast to the red and purple varieties on display. As it ripens, the skin turns from green to yellow splashed with red. 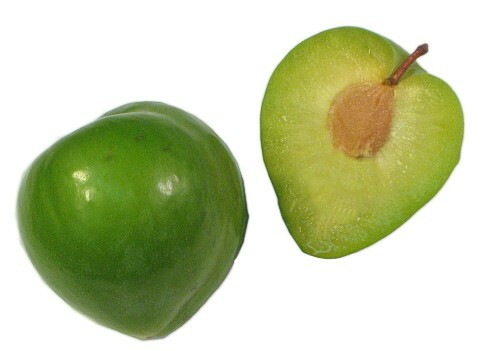 The sweet, greenish yellow flesh is one of the least tart among the plums. The Kelsey is available from the Fourth of July well into August. Size ranges from three to six plums per pound.